Air pollution cost Canadian families an estimated $36 billion in 2015 due to premature death and illness, a new research report says. 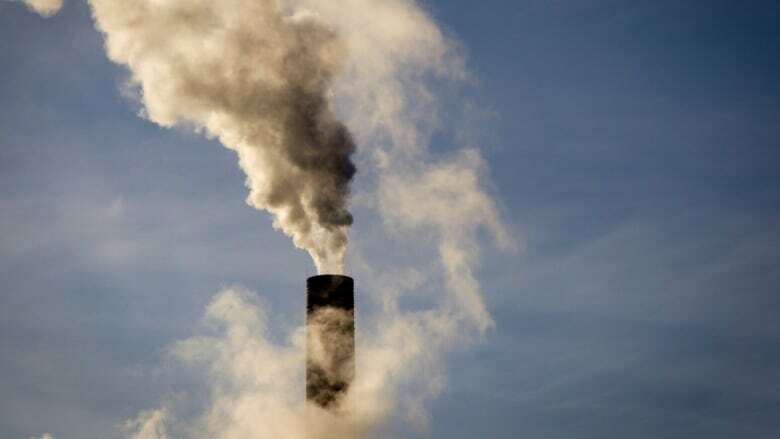 The report, Costs of Pollution in Canada, is a compilation of scientific data on all aspects of pollution, from smog to oil spills and fertilizer use. It is being released Thursday by the International Institute for Sustainable Development. "The more scientists look at the costs of air pollution, the more they find those costs are large," said Robert Smith, a senior associate at the institute and the report's lead author. A 2008 Canadian Medical Association study concluded that about 1,500 people die prematurely every year because of air pollution — a study once considered the gold standard, Smith said. More recently, that study was found to have vastly underestimated the impact; new research in 2015 suggested the number of premature deaths caused by air pollution is closer to 7,700 people a year. "We now know the costs of air pollution are much higher than we thought they were," Smith said. "The morbidity and mortality is much worse than we thought." The IISD report compiles scientific research on the impacts of pollution across a number of areas, including human and animal health and costs to business and government. It includes things such as the cost to clean up contaminated sites, the impact of acid rain, the deaths of honey bees, algae blooms and oil spills. A lot of the costs of pollution are not known at all because the research simply isn't there, the report notes. Pathogens in tap water add another $895 million in costs. Climate change-related heat waves cost $1.6 billion in 2015, the report says. Heat waves are the only consequence the study priced, since there is no clear picture what portion of other events such storms and droughts can be attributed to climate change, Smith said. Scientists have been able to attribute about 50 per cent of heat waves to climate change, and the $1.6 billion cost reflects that figure, he noted. While much of the world is taking steps to address air pollution largely by cutting greenhouse gas emissions, there is a fear the United States is poised to rekindle the use of coal to generate electricity. U.S. President Donald Trump has famously promised to breathe new life into the struggling U.S. coal industry, which used to be responsible for more than half of America's power, and now produces about one-third. Regulations on coal-fired plants have put a damper on coal production, as have market forces that made other sources more attractive, such as natural gas from fracking. Burning coal remains the largest source of air pollution in the U.S.
As Trump now ponders withdrawing from the Paris climate change agreement, Smith said fear of more coal has grown. Even though Canada isn't going down that road, "pollution knows no boundaries." Toronto, which has finally started to see its air pollution levels go down, would get hit if there is suddenly a ramping-up of coal production in the Ohio Valley, Smith said. In many ways, he added, the bright light these days is China, which recently shelved plans to open more than 100 new coal plants. "I guess all we can, in some sense, pin our hopes on is the Chinese population — that their rising middle class isn't going to put up with this."